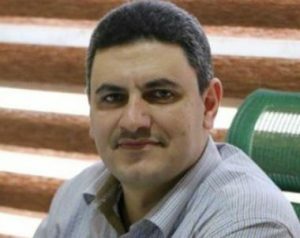 Monther Abu Ahmad, a lawyer with the Palestinian Prisoners’ Society (PPS) has confirmed, Wednesday, that journalist Ala Rimawi, 40, who is held by Israel, has launched a hunger strike on the first day of his imprisonment on July 30th, 2018. Abu Ahmad said that the detainee is protesting his imprisonment, especially since the only reason for his abduction and detention is the fact that he is a journalist. Abu Ahmad added that Rimawi is under interrogation at the Ofer Israeli detention center, near Ramallah. 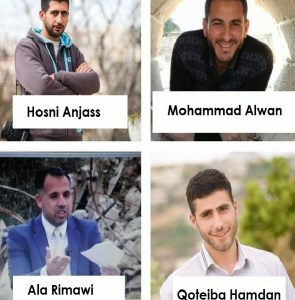 Rimawi was abducted at dawn (July 30th), along with three other journalists, identified as Hosni Anjass, Mohammad Alwan and Qoteiba Hamdan. 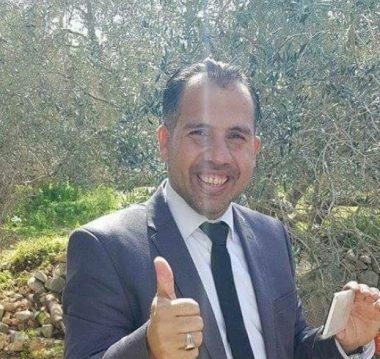 On Wednesday, August 1st, the soldiers invaded the home of another journalist, identified as Mohammad Anwar Mona, the head of “Hawa Nablus” Radio, from his home in Nablus, in northern West Bank. In related news, detainee Mohammad Nimir Dar Sattouf, 27, from Beit Rima town, in the central West Bank governorate of Ramallah, is ongoing with a huger start he stated 15 days ago protesting his illegal extended interrogation, abuse and bad conditions at Asqalan prison.